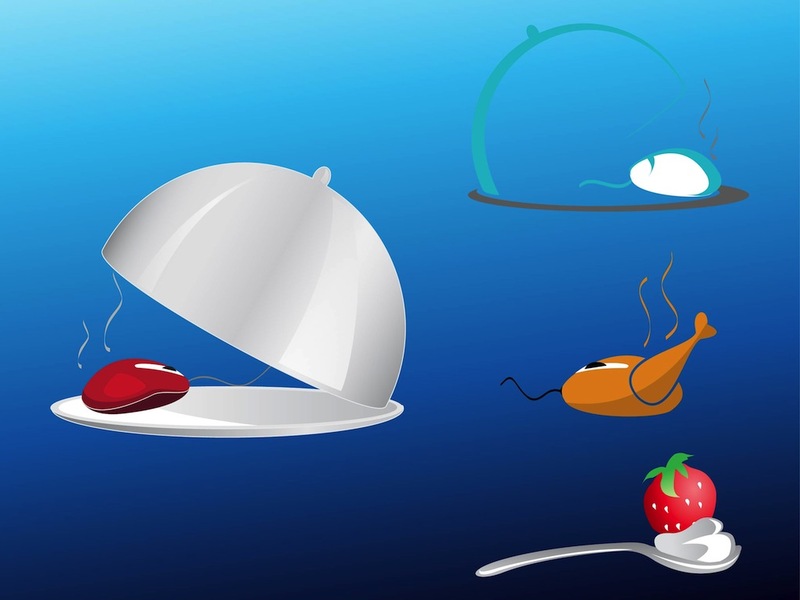 Computer mouses vector graphics of food and electronics. Icons with computer mouse graphics hidden under big round metal lids, mouse shaped like a chicken and a ripe strawberry and cream in a metallic spoon. Free vector illustrations for all company logos, icons, stickers, banners, badges, stamps and business card decorations projects. Tags: Computer Mice, Eating, Food, Gadgets, Logos, Mouse, Tech.